Springtime comes to Excelsior Cottage ! Private hot tub and 3 bedrooms ! 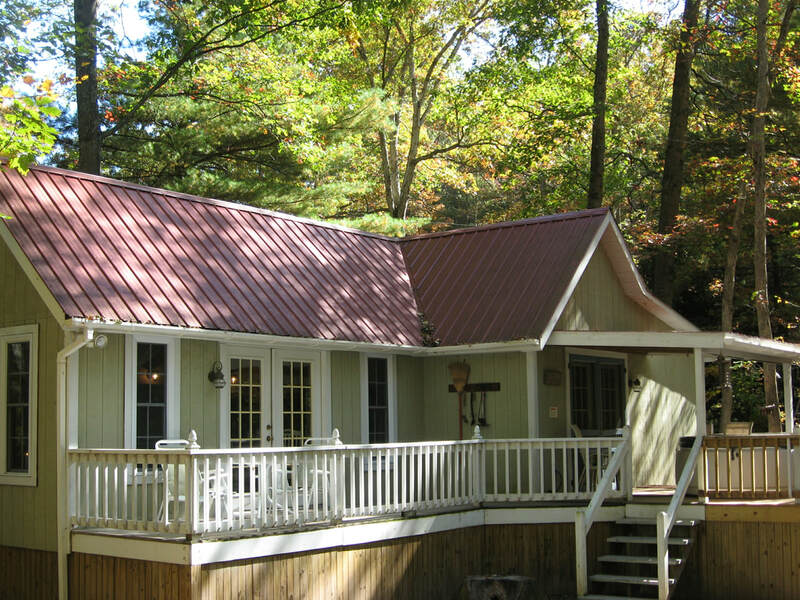 Francena Cottage near Bear Creek - 2 bedroom, private hot tub. 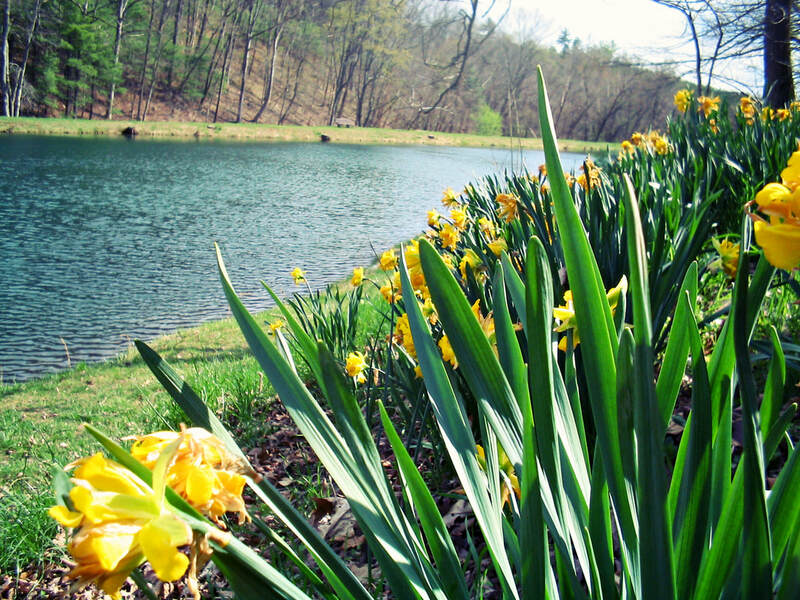 Daffodils bloom near the lake - Spring 2018. Our spring fed Lake. Bass, Bluegill, Catfish, Yellow Perch, and Pedalboat ! A Dogwood blossoms by the lane to Lory Cottage. Spring 2018. Bear Creek flows through Green Valley near Lory Cottage. Doe & Fawn feed in the meadow by the lake. 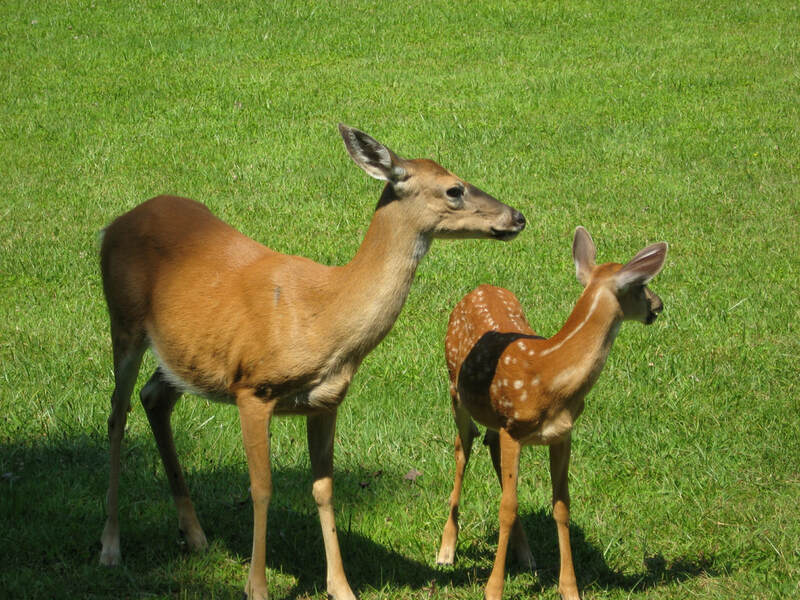 Fawns arrive in June. Tubes await riders on a warm July afternoon. Bluebird on a nest box in the meadow near Sophronia Cottage. Summer at Lory Cottage. The bullfrogs will be singing tonight ! Some of the many flowers growing around Excelsior Cottage. Our restored Deere near the old barn at Excelsior Cottage. 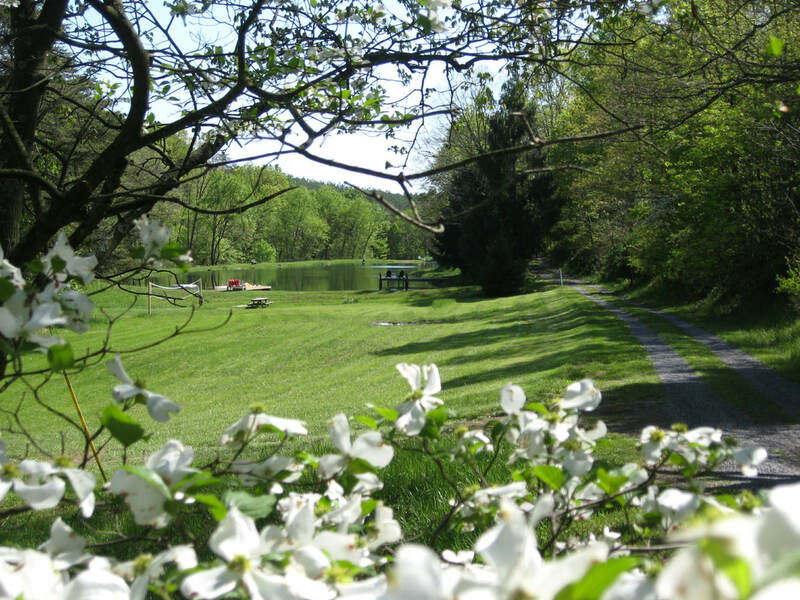 Our guests have exclusive rights to our property's private 3 acre lake. 75 acres of hiking trails and of course your own private hot tub. Each of our four cottages are fully equipped for your total relaxation with full kitchens and your own private hot tub, gas/electric fireplaces or air conditioning (depending on season). We provide all the cookware and dishes, all bed and bath linens with no linen fees, pillows and washer and dryer. Our guests need only bring their food and toiletries. 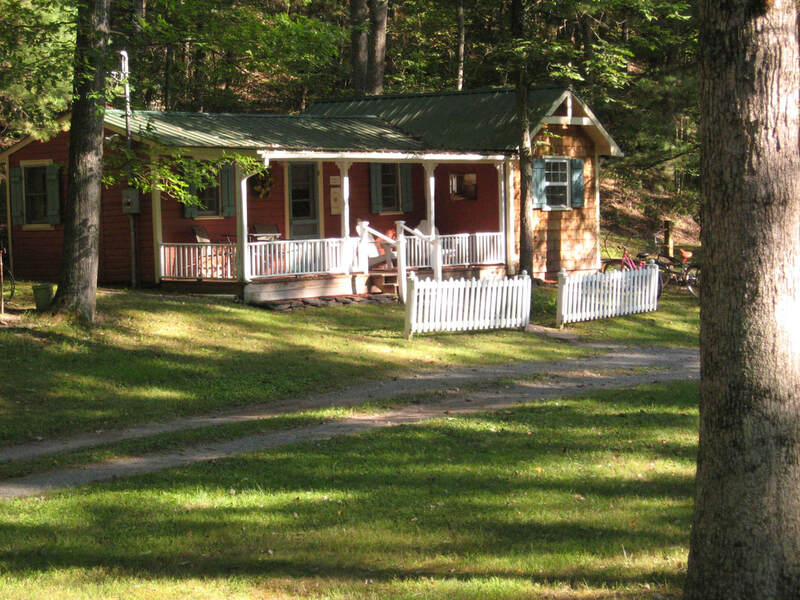 Each Cottage has its own picnic and bonfire area with charcoal grill. For 3 of our cottages, Green Valley Lake is only a short stroll or bike ride from your front door, and we provide 2 bikes for each Cottage. Lory Cottage has the added advantage of being our lakeside cottage. Excelsior Cottage is our most private Cottage and a nice bike ride, walk or short drive to the property's lake. 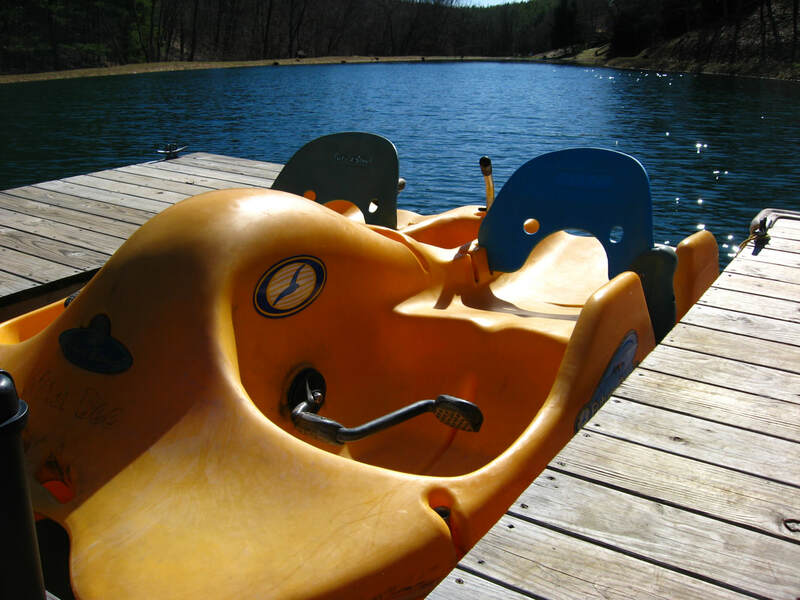 At the lake you'll find a pedal boat and a row boat for your enjoyment. The lake is stocked each spring with bass, bluegill and catfish. So that you can enjoy some catch and release fishing. 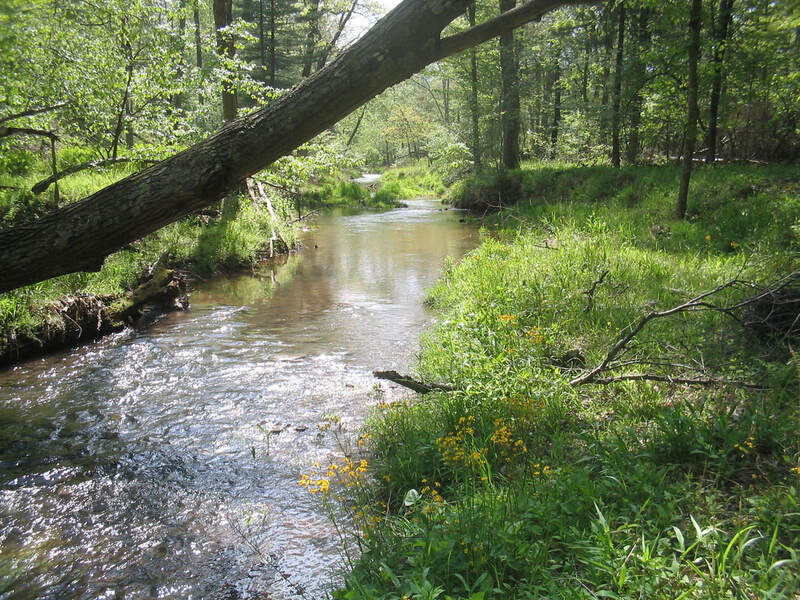 The property is covered with marked hiking trails ranging from the very mild to the slightly adventurous. There is plenty to do at Green Valley, but it's been our experience that our guests' favorite activity is simply, "not doing." It's hard to believe that such a peaceful place could lie only hours from some of the East Coast's major cities. 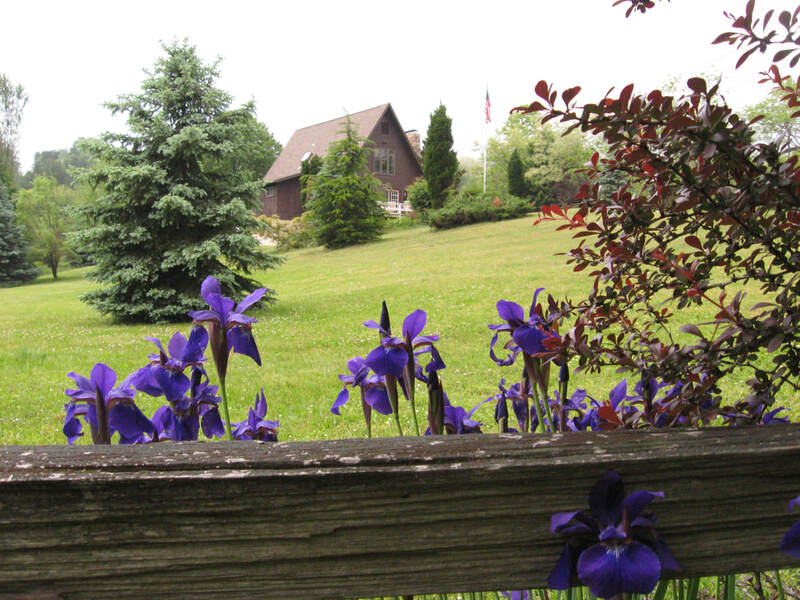 Our property is conveniently located in South/Central Pennsylvania and is, approximately, only 90 minutes west of Baltimore and Washington D.C.
​Come and see why so many have found our cottages to be the perfect getaway!